There are two types of experts in the world: real experts, and fake ones. 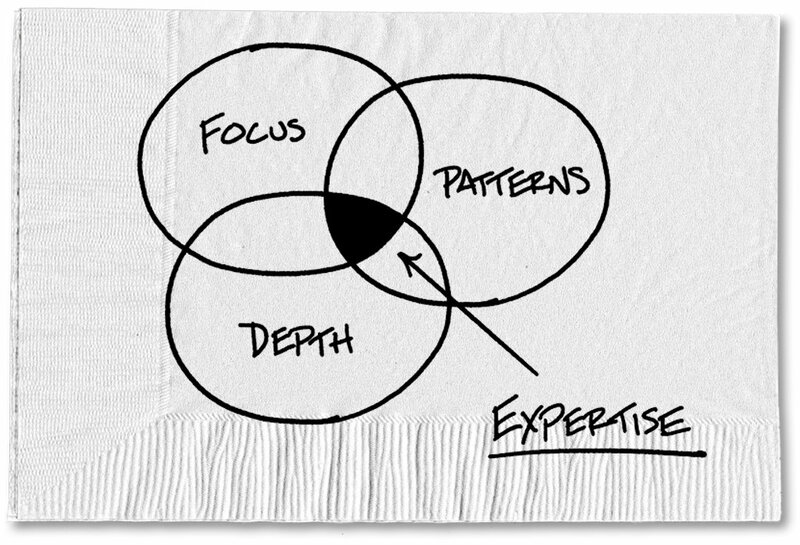 The real experts are the people who spend many years refining their knowledge and skill set in a particular area and become masters of pattern recognition. But all too often, they end up toiling away in relative obscurity and poverty, neither maximizing their opportunity for impact nor earning the money they deserve. Your inbox is probably full of fake experts and their garbage. They are people like the speaker I heard at a conference who claimed that all you had to do to be an expert was raise your hand. That’s not expertise. It’s snake oil. Both of these groups share one problem: They misunderstand the business of expertise. One group undervalues real knowledge; the other group overvalues fake knowledge. What’s so compelling about Mr. Baker is that he’s an expert on being an expert. And because he is so knowledgeable about what true expertise entails, he is able to help both real and fake experts alike. If you’re a fake expert, this book will teach you how to become a real expert (assuming you actually care about that). And if you’re a real expert, this book is a road map to converting your insight into greater impact and financial security. One of Mr. Baker’s key insights is the decoupling of time and results. Experts can often see a problem and quickly provide a solution, and that makes them valuable, even though it appears easy and quick in each instance. In fact, it’s not easy at all. You become an expert through repeated exposure to similar patterns. After doing hundreds of financial planning meetings with new or potential clients, I started noticing those patterns. Eventually, I got to the point where in the first 10 minutes of asking about people’s goals, I often knew exactly where they were headed, what sort of risk they might be comfortable with and where the challenges might be. Don’t worry that you won’t be rewarded for your speed, once you do get faster. Recall the tale of the old lady with the squeaky floorboard. It had been squeaky for 20 years. She finally called the wise old carpenter. He came in, stepped on the floorboard once and then twice, then took out a hammer and nail. Finally, he pounded the nail into the floorboard. She paid. And Mr. Baker taught me much more about the value of knowing exactly where to pound. 0 responses on "Featured Blog: Fake Experts Abound. Here’s How to Find (and Be) a Real One."